For most of us, the thought of a job interview elicits a mix of excitement and dread. Who wouldn’t get fired up about the possibility of more responsibility or a heftier paycheck? On the other hand, what if you botch a question and your interlocutor seizes on your misstep to offer the job to someone else? Interviewing for a job is a nerve-racking experience no matter what, but Knock ‘Em Dead author Martin Yate wants you to be as prepared as possible. 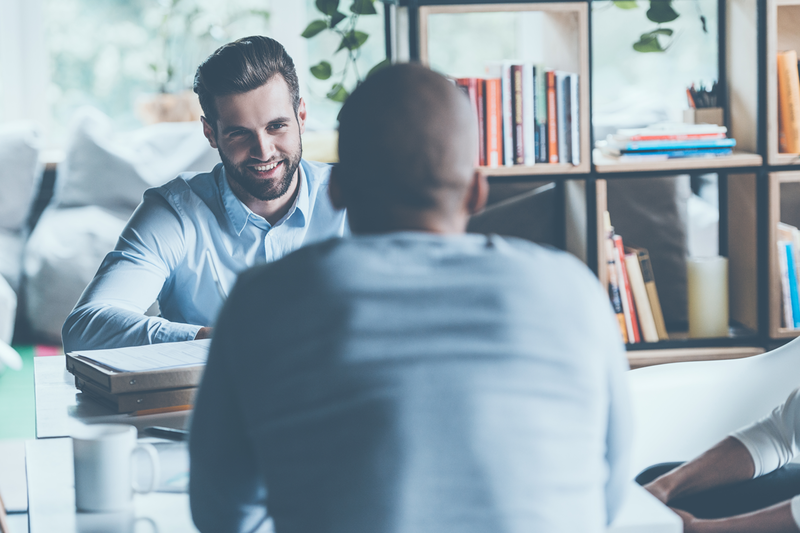 He serves up nine questions that interviewers are likely to ask – and shows how to frame your responses to help you land that dream job. 1. What are the secrets of your success? With this question, the employer is looking for clues about what drives you. Keep your response concise. Describe relevant work experience and play up your strengths. The employer wants to make sure you’ve done some homework and have thought about how you might contribute to the organization’s success. 3. What are the most important parts of your job? This can be a make-or-break question. The employer is looking for signs that you tend to procrastinate, or that you lack the self-discipline to manage your time. 4. What did you like about your last job? What did you dislike? The interviewer is looking for traits that would make you a poor fit – and giving you an opportunity to showcase your strong suits. Use it to your advantage! 5. How do you feel about your progress? You’ll need to strike a balance here. When answering, evoke optimism and confidence, while also conveying that you have room for growth and improvement. 6. What would you like to be doing five years from now? Play it safe with this question: Say you want to be a crucial participant in the organization. 7. Tell me how you moved up through the organization? This answer tells the interviewer about your personality, your goals, your past, your future and whether you still possess the passion to excel. 8. How well do you handle pressure? This is an opportunity to talk up your best traits. Employers like this question because it helps them gain a sense of how you solve problems. So, describe a tough task or difficult project you faced, and describe how you dealt with it. Give ample evidence of your analytical acumen. 9. Were you ever let go from a position in a way you thought was unfair? This is a sneaky way of asking, “Were you ever fired?” The employer is giving you permission to vent about past slights. Don’t take the bait!